So this semester, I decided to become an Orientation Leader for the international students who started their studies in fall 2015. We had new students from India, Germany, Egypt, Brazil, Saudi Arabia, France, Vietnam, China and more. On the first day, we registered students upon their arrival, and picked some of them up from the airport. Many of them did not have their housing settled and they needed temporary housing. We provided them temporary housing in the dorms until they found good housing based on their situations during the next couple days. During the orientation, we had many programs for the students. Each day, we had tabling in the EAC to show the new students around campus, we took them to the Registrar’s and Bursar’s offices so they could pay their bills, made sure they got their student ID cards, and more. Also, we took them to Wal-Mart and Crossgates Mall in case they needed to purchase anything. 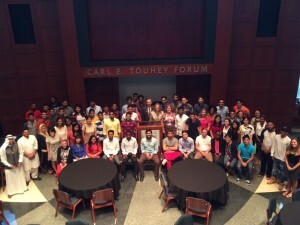 We had a Welcome Dinner with the President of Saint Rose. 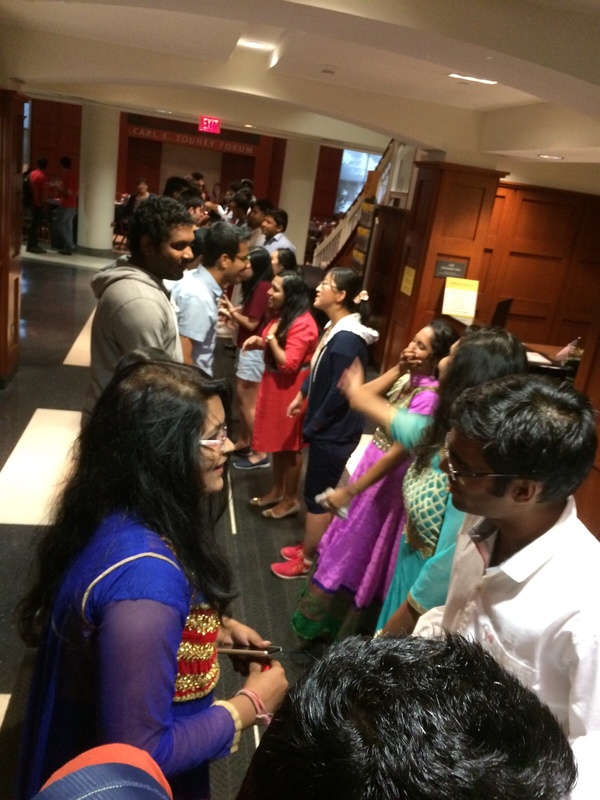 In this event, all the new international students and the orientation leaders had a chance to get to know each other and make good friendships. I really enjoyed this experience. The other thing that I noticed and liked was that more than half of the orientation leaders were international students as well, so we knew their problems such as if they have a hard time expressing themselves because of a language barrier, or if they did not know American culture very well. I like to help international students in general because I know that most of us leave our hometowns, friends and family, because we have a bigger goal in life. We tend to sacrifice being around our loved ones because we want to create a better future for ourselves and our families. I would encourage everyone to consider being an Orientation Leader for international students because you will have the chance to get to know different students and their cultures.